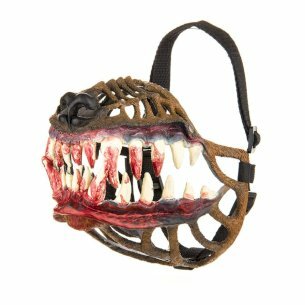 If you’re afraid to walk your dog at night (and your dog is the kind that would rather lick the attacker than protect you) – this werewolf muzzle is for you! 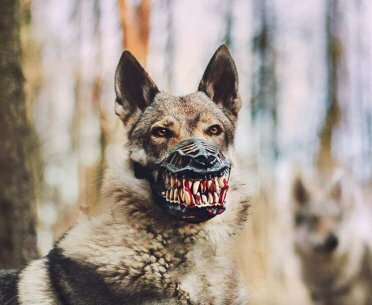 This is the all dog breeds muzzle that can transform any angelic looking pooch into a menacing werewolf. 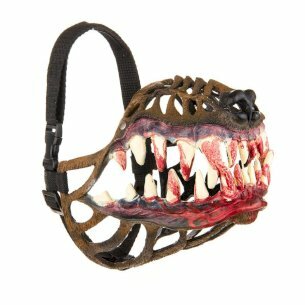 The muzzle permits your dog to slightly open its mouth, allowing it to pant. It is made from non-toxic plastic and nylon.